We provide stock music, sound effects, voice overs and audio editing services to video producers. By video, we are talking about training videos, help videos, YouTube videos, website videos, Facebook videos, wedding videos etc. There are a few exceptions, but generally you can use our music and sound effects in as many video productions as you need on a single Standard License. Audio you license from us is stored in your online My Account so that you can access and re-download it anytime, along with your licensing documentation. The following usage advice is specific to video producers and applies to music and sound effects licensed from us. Providing you are only giving the client the music as part of the video you produced, they and you are covered. Your client must obtain their own license if they want copies of the music for use in their own projects. 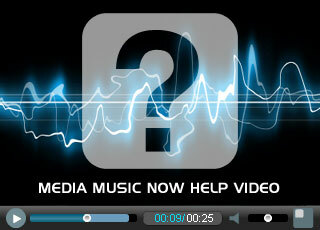 Furthermore, you can reuse the music you have licensed from us in your future video projects with any of your clients. TV adverts/commercials and Online adverts (the ads shown before the main video content plays on video networks e.g. TrueView) are not covered by our standard license. We have specific licenses for TV, Radio & Online advertising/commercials. These advertising licenses only cover one creative / commercial / campaign. Additionally, if you are asked for Cue Sheet information we can provide that for you. Generally speaking you are covered on our standard license for using our music and sound effects in documentary and film. This includes film festivals or making a documentary for TV. The only exception to this is if the film is going to be broadcast in cinemas as a mainstream release. For such cases, we have alternative licenses. You can always contact us later for an upgrade if your film hits the big time. If you are asked for Cue Sheet information we can provide that for you. Use in your YouTube video is covered by our standard license. Some of our music is in a Content ID system to protect composers from music piracy. This means we may need to whitelist your video / channel. If you wish to monetize your channel or video you can do so on our standard license providing that the music is a supporting aspect and not the main focus. If you make the music the main focus, such as a nursery rhyme or meditation and provide visuals as a supporting aspect to the music then different terms apply. What does 'Make up to 5000 copies' mean? Our Standard License allows you to make up to 5000 physical or downloadable units of a product. For example, DVD, CD ROM, aps, software. This does not apply to online views. This is per project. If you make a run of DVDs for one client the standard license will cover it. However, if you subsequently make another set of DVDs for another client then you will need to contact us for a re-licence. Need to make more than 5000 units? No problem. We have various Extended License options. Just purchase the license you need or contact us when you need to upgrade. Do I need to relicense music for each project? You do not need to relicense the same music for other projects covered under our Standard License e.g. YouTube / website video. For our Extended Licenses you need to relicense for each new project / campaign / creative / commercial e.g. TV or Radio advert, online advert etc. If you have purchased a Standard License and need to upgrade to an Extended License please get in touch. Should I license the music myself or get my client to? License the music yourself if you want to be the license holder. This way you can reuse the music in your other videos for other clients on our standard license. However, the client must not receive the music on its own. If they want to use the music in their projects they must purchase a license. If the client wishes to license the music and send it to you, they would be the license holder and you would not be able to use the music in any of your own projects. To use the music yourself you would need to purchase a license. How can I let my client hear the music I've chosen? Create a list for them - We have a My Lists feature that enables you to save and email a list of tracks on our website. Send Unbranded Previews - If you don't want your client to know about us send them unbranded previews. We can add this option to your account. Can you provide me with cue sheet information for the broadcaster? Go to our Music on TV & Radio page for more information. Can I resell / sublicense your music? No, selling or sublicensing it to your clients is not possible as you do not have any copyright ownership or permission to do so. Is it OK for my client to make money from the video? As long as it's the video content as a whole that is making money this is fine. For example, if your client's 'How to' video is generating advertising revenue thorough YouTube's advertising program and our music or sound effects only play a supporting part of the video - an underscore to the narration for example - then this is perfectly fine. However, if the music or sound is the main aspect of the video that is making money this is different, for example kids music, meditations etc. Contact us for clarification. Can you pick music for me? Our library is designed as a self-service offering. If you don't have the time to look you can hire us as your music supervisor and we'll come up with a selection of music. If you are a customer, we can point you in the general direction or offer an opinion on a track you have chosen (depending on our workload). What is the difference between an Advert and a Promotional video? Anything you pay to have shown or heard is advertising and needs an extended license. Such as a TV or Radio commercial or an Online Advert that plays before or during someone elses video. Promotional content about your product or service that is free for you to air, for example a video on your website, YouTube, or a Podcast is covered by our standard license. Really impressed with the service and how fast they got my dj drops to me. They are top quality and I also got more than I was expecting. Highly recommended.